The Student Book offers 30 lessons, and each lesson is comprised of a Scripture memory passage, important facts to know (including people, places, dates, and events), vocabulary, and comprehension questions that draw out the golden nuggets of meaning in each story. Maps, timelines, activities, and discussion questions offer the critical integration that is central to classical education. 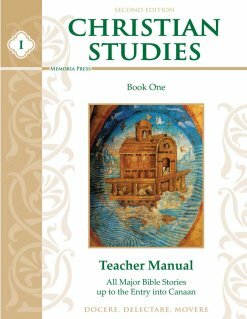 The Teacher Manual offers the insight and background for each lesson that you’ve come to expect from Memoria Press, along with additional discussion, composition, or research prompts and helpful notes for the teacher. 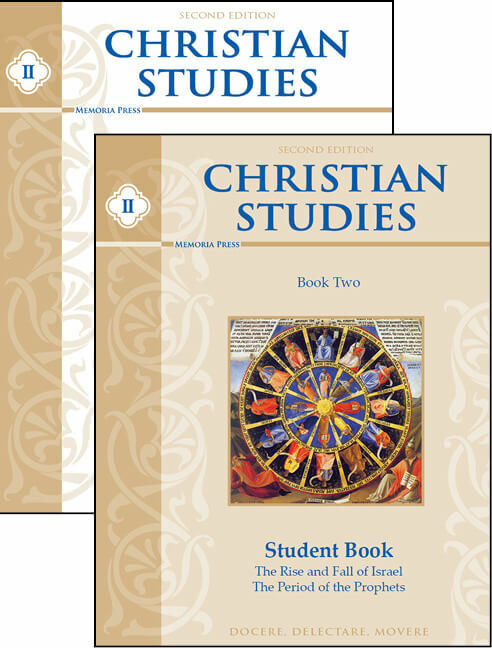 Using these guides, your student will be well prepared for the good work of advanced Christian Studies. What else could you want? 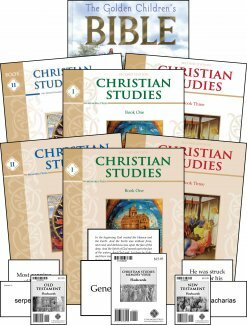 The Christian Studies program is in chronological order with the Bible. It is not ordered by student age. Old Testament Flashcards: Help your student become versed in the central facts of the Old Testament. 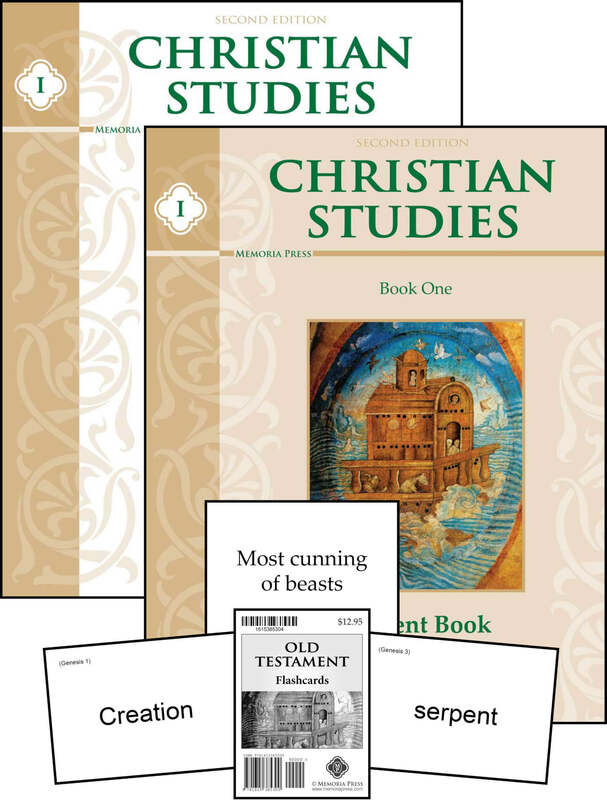 These cards can be used with our Christian Studies courses, independently, or with other Bible courses. What creature was the “most cunning of the beasts”? What is Latin for “the image of God”? What is the name for the “feast celebrating the Exodus”? 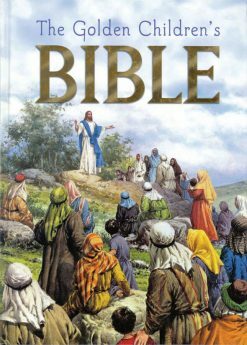 There’s no better way to know your Bible. 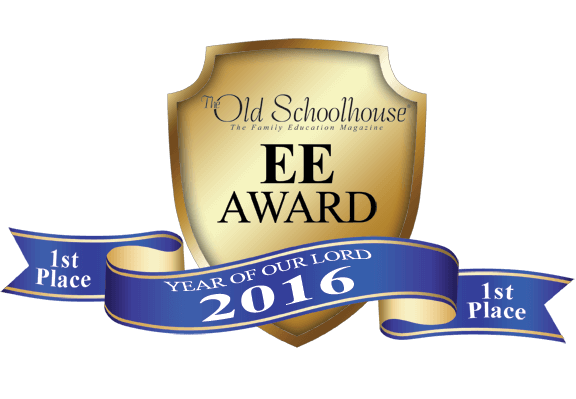 Need Lesson Plans for Christian Studies I? It is simply amazing what your children will learn….you cannot go wrong using this.